After going back and forth with this car I have decided it is time to see one thru. I've owned this car longer (10 months) than the last 5 so I guess that is a sign. My idea is something like Sean Rich's "Bad Buzz" or commonly known as the "Bank Robber Special". Except mine will stay sort of a cruiser with a little punch behind it. So, here we go. What I'm starting with. Woke up this morning to 16 degree temps and all three daily drivers were coated in ice. I spent a hour getting them unfrozen and warmed up the garage a little. 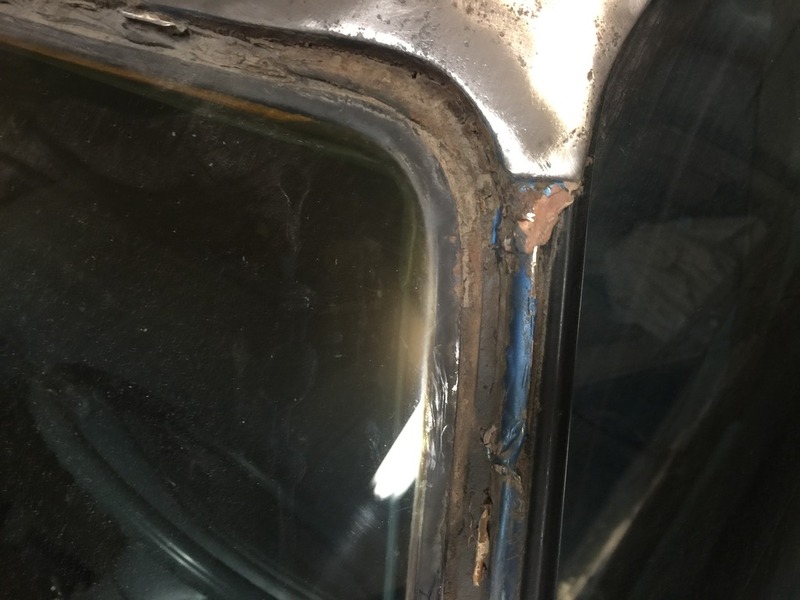 I started to remove the trim in the drivers side. 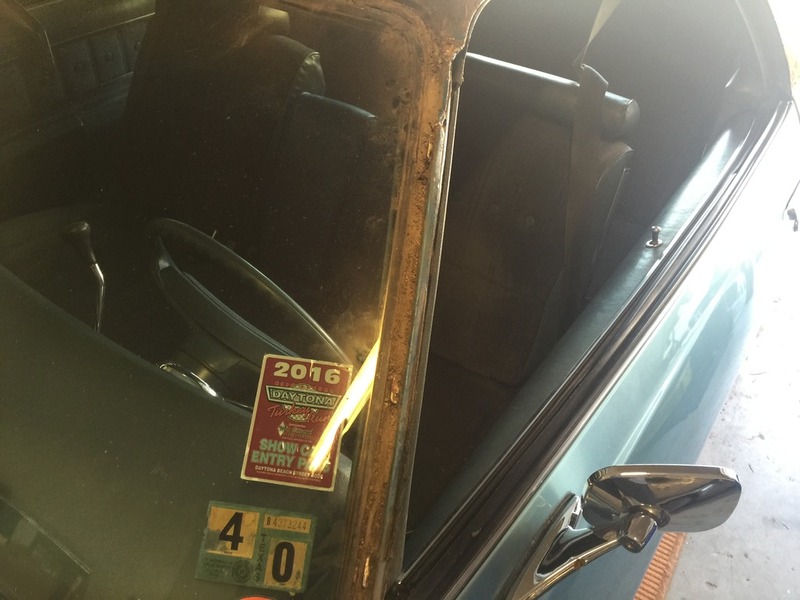 Most of it came off easy but it looks like I have to get the inner fender out to get the Malibu Classic Emblem and the lower rocker molding off. That will be another day. Good news is under that trim it is solid as a rock. Expected though out of a Texas/Nevada car. This is a major leap for me. I usually buy them how I want them and enjoy them and move on. But for some reason this car just fits me. I like it! Glad you are staying with it and making how you want it, which I think is the fun part about working on a project. I removed all of the trim and emblems and it looks a lot cleaner. Looking forward to you progress. Onward and upward is what I always say Damon. 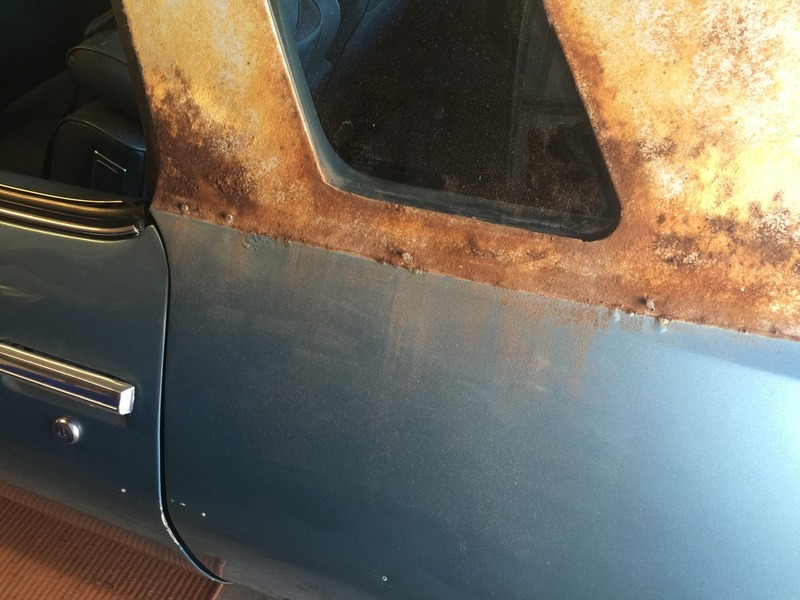 Once you take that first screw or bolt off, you're on your way to what you want out of your car, and not what everyone else has or wants your car to be. I applaud you for sticking with it and can't wait to see your progress. Glad you are sticking with it, Damon! That appears to be a really nice car. Just what are your intentions ?? pila wrote: That appears to be a really nice car. Just what are your intentions ?? It is a decent car. I'm removing all the moldings and trim, removing the top and having everything fixed and resprayed. Going to swap out the wheels for either D holes or soft 8's. Having a nice sounding dual exhaust set up put on and slowly mod the motor. A LS would be nice but the car runs so well and has great vitals I think that is going to be far down the list. Sounds like a nice plan ! That appears to be a quite nice car, like I said !! 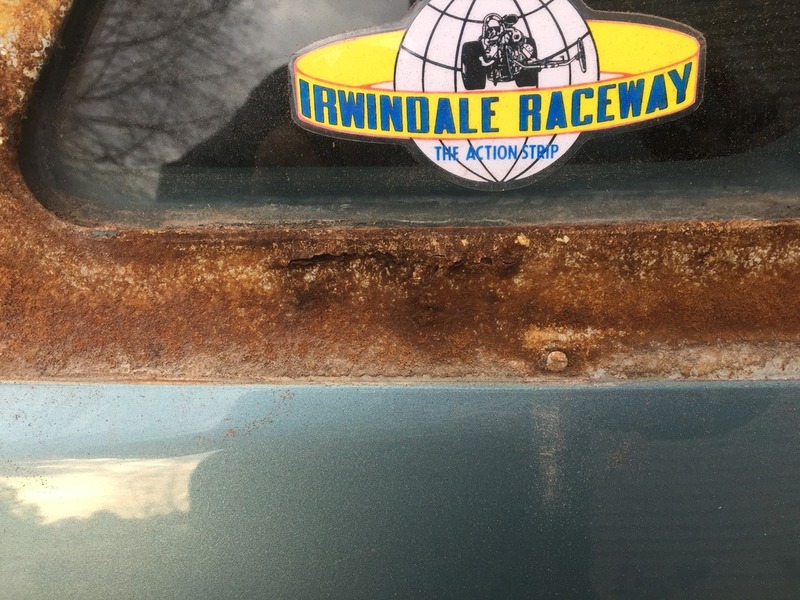 I wish i was Living a little closer to the us, cause all that trim you are taking off looks to be in good shape, and i would love to have it on my car. But Living in Europe makes the freight cost unbeliveble. And im not sure the parts would even survive the trip. Bummer but maybe it can make someone Else happy, i know it is hard to find espesially the wheel arch trim in usable condition. 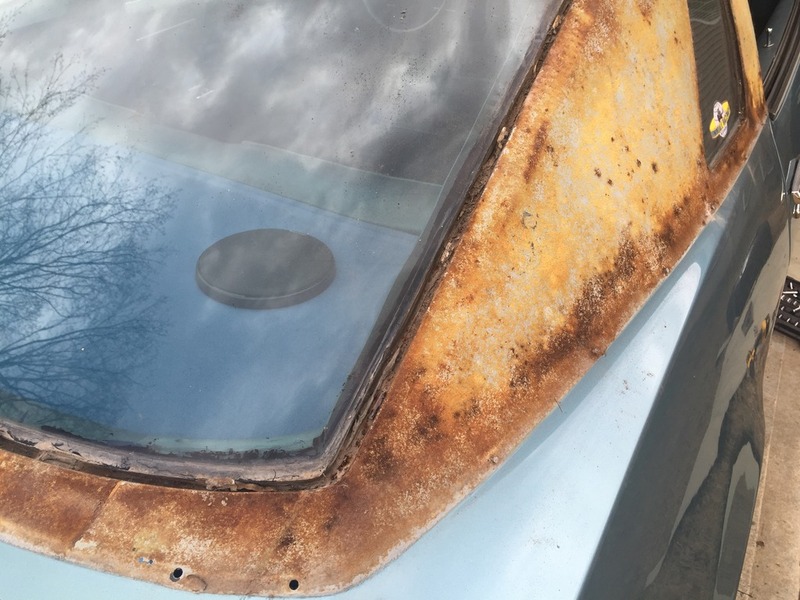 And the vinyltop trim is also a rare item nowadays. 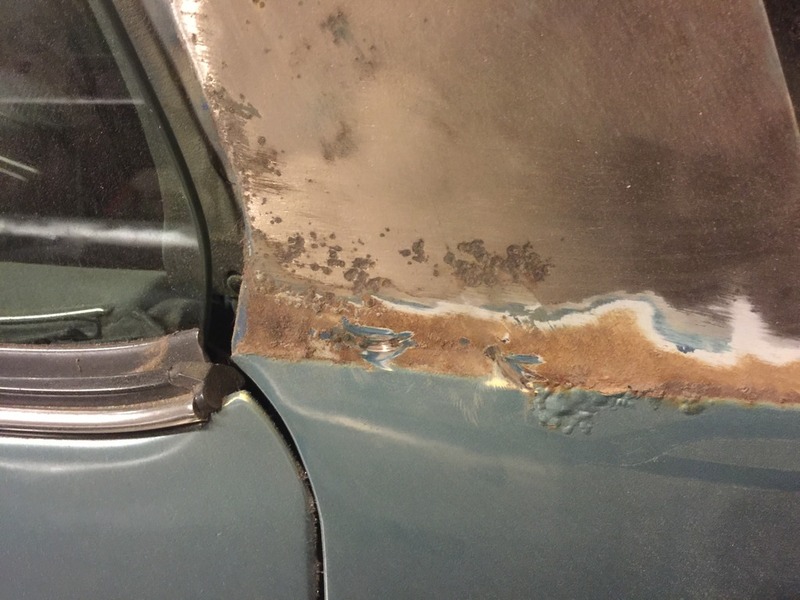 I could not find any when i restored my chevelle, so i modified a set from a 72 camaro, i heated it with a torch and changed its shape to fit and then i polished it. Alot of work. 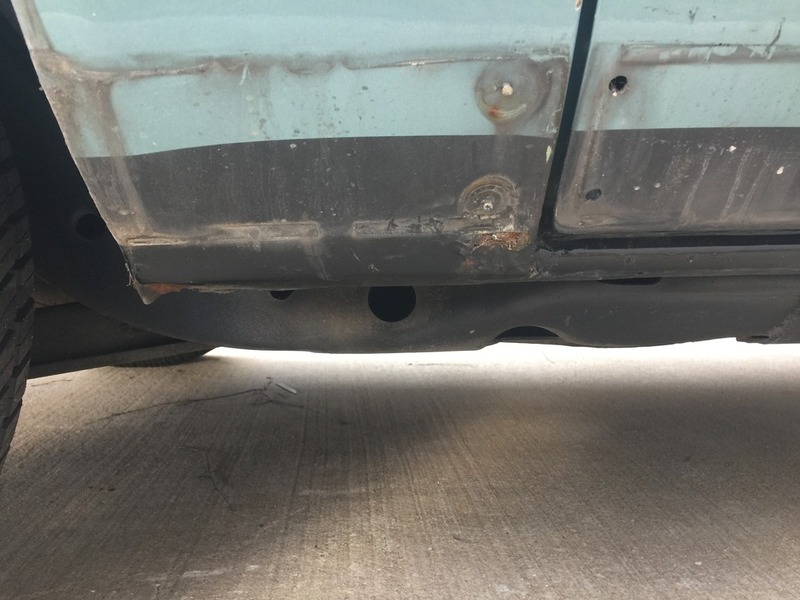 Would you sell the lower moldings your taking off your car? Thanks, Jerry H.
testpilot61 wrote: Would you sell the lower moldings your taking off your car? Thanks, Jerry H.
I wish I was so lucky. I can see one thru the door opening and they have speed nuts on them. I'll let you know once they are off. 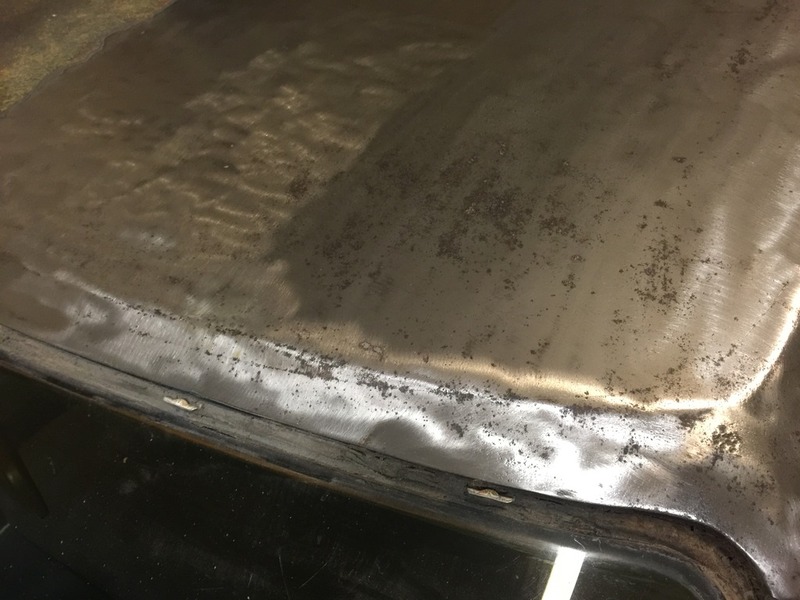 It is not that hard to take the Inner fenders out, that makes it easy to acces the mouldings/ emblems on the back for removel. 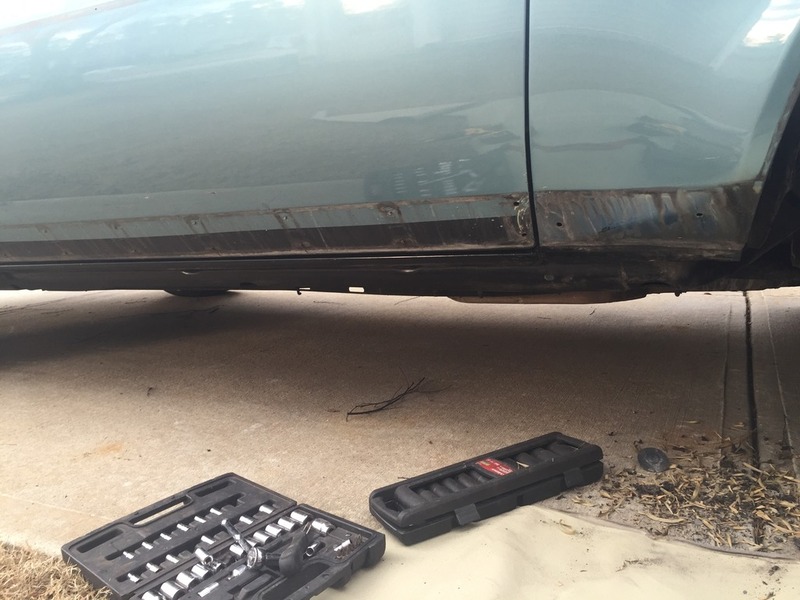 The Inner fenders only takes about 10 minutters to remove. The passenger side is a little harder because you need to remove the battery and tray, but other than that its pretty straight forward. On the plus side it also makes it easy to do work in the engine bay, and you can get to paint or clean the Inner fenders. A little more progress. 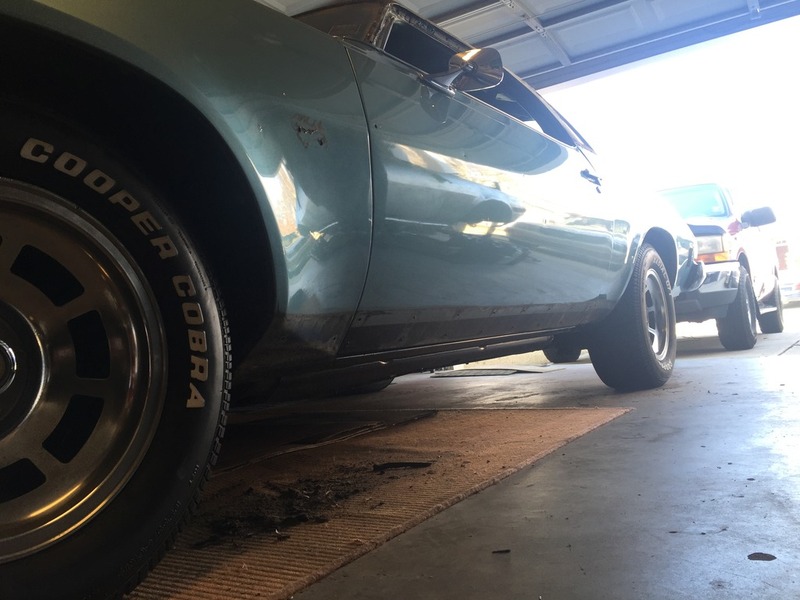 That dang lower fender molding was a pain. The nut closest to the door was not easy to get to even after pulling the inner fender down. So far so good on the top. 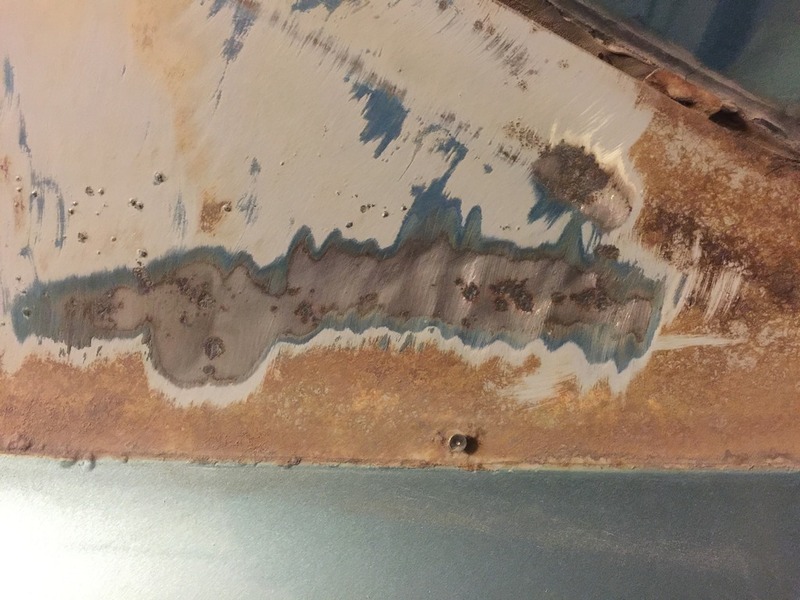 Surface rust with a pits here and there. Nothing soft or holes yet. Looks like I have to sand that glue crap off. 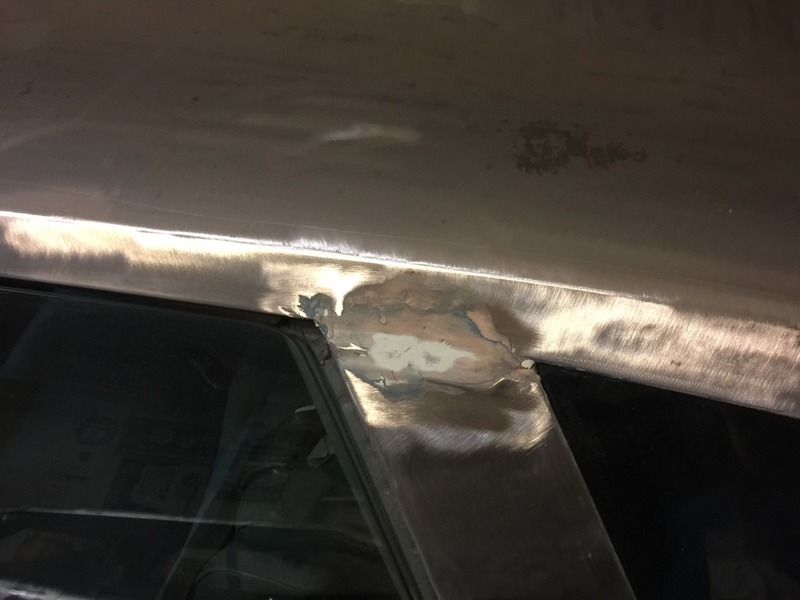 Maybe I'll see if the shop down the road can sand it down and put it in epoxy for me. I don't know if I want to put the drip rail back on or not. Kind of like the smooth look. I wish there was a way to make the opera window gap look good cause that looks good without the trim as well. 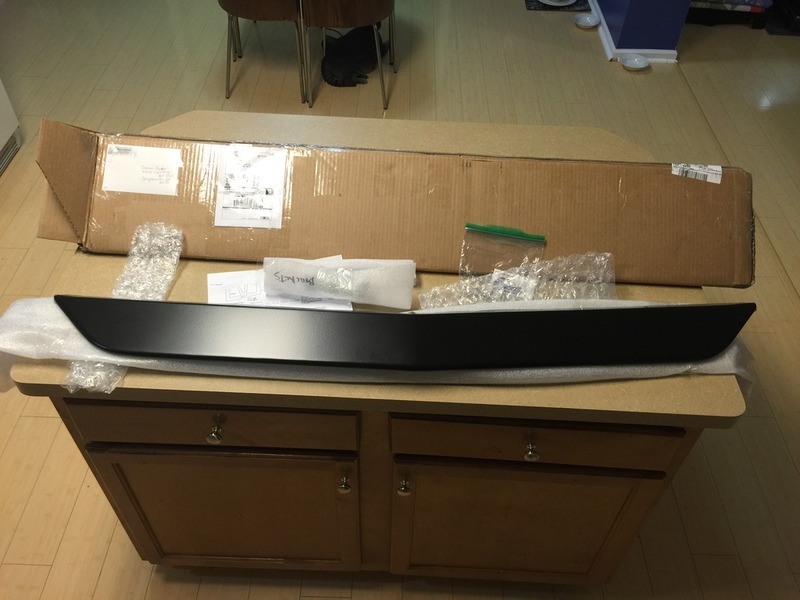 Oh, the front spoiler came the other day. Spoilers by Randy hooked me up. Ordered it last week and delivered this week. Good quality on the part too. 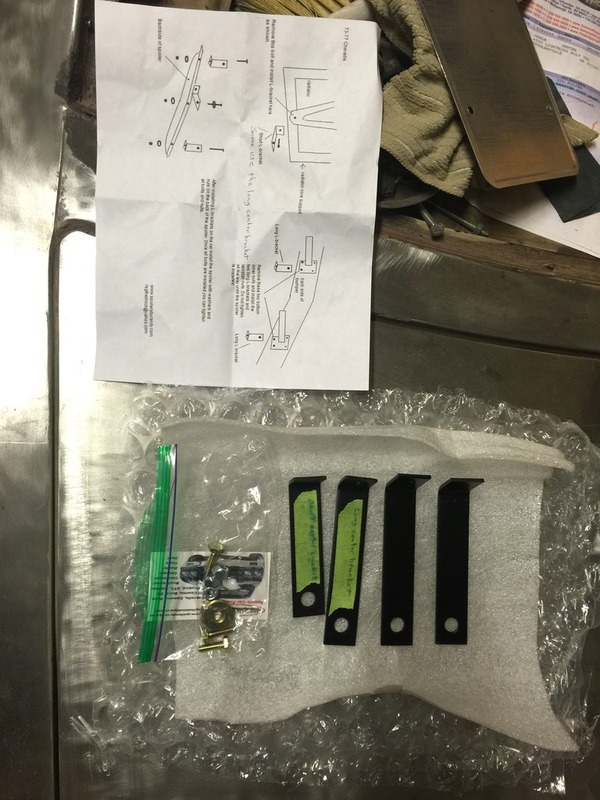 Full instructions and mounting kit. Very impressed. You can't get the fender emblem off from under the hood,if you stick your arm Down there next to the master cylinder? 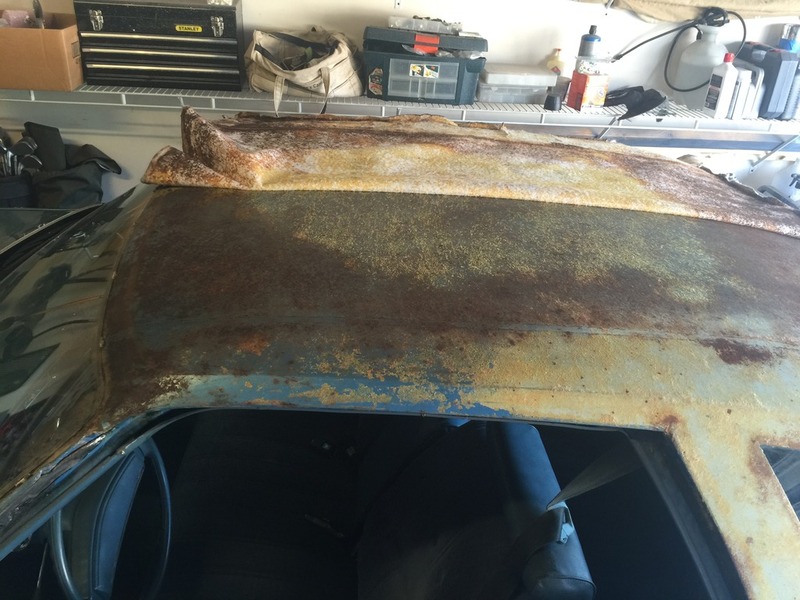 Mask that car off with cardboard and duct tape and have a Dustless Blasting company blast all that rust off. Then 2 coats of epoxy and your good to go. Not sure if it'll work or not Damon, but you might try lacquer thinner on the glue. I believe it just might soften it enough to take it off even after all those years of being on it. Sorta like when you take an emblem off that has double back tape holding it on. At least that's what I do to take glue and sticky stuff off. Looking good so far, and man did you take the plunge. Nice! Can't wait to see the spoiler installed, I've been thinking about getting one of those as well. I didn't reinstall my drip rails and think it looks good without. I think I messed up and removed a piece on the A pillar I was not supposed to. It looks like it is there to give the vinyl something to lay flat on. 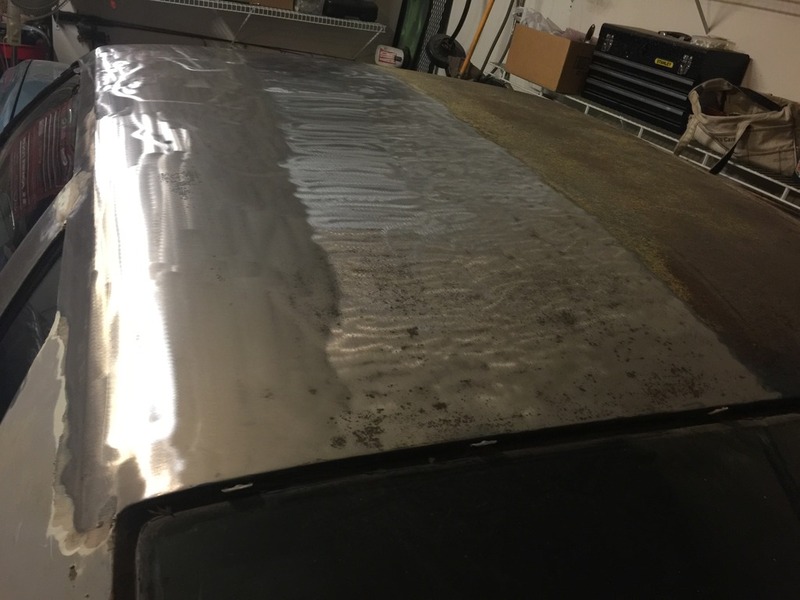 It took some prying to get it off but I can straighten it and put it back on then it will have to be smoothed out to blend from the roof to that piece. Anyway, here are some other pics of today's work. 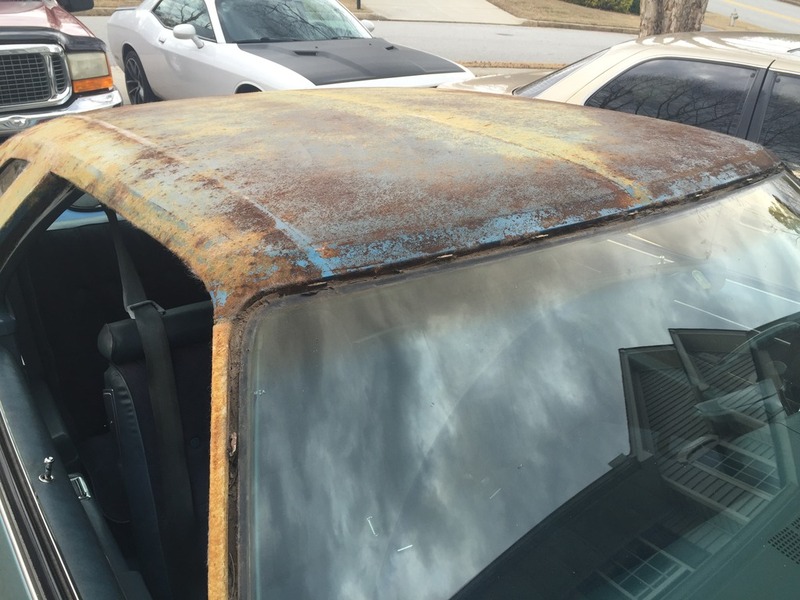 This is the worst of the rust on the roof. Does not seem too bad but once it gets knocked down I expect pin holes here. 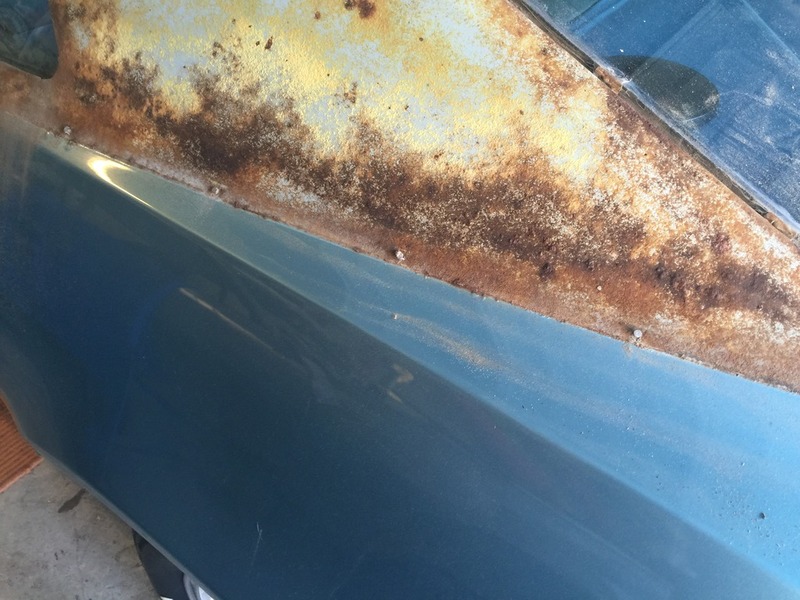 Only body rust on the car. 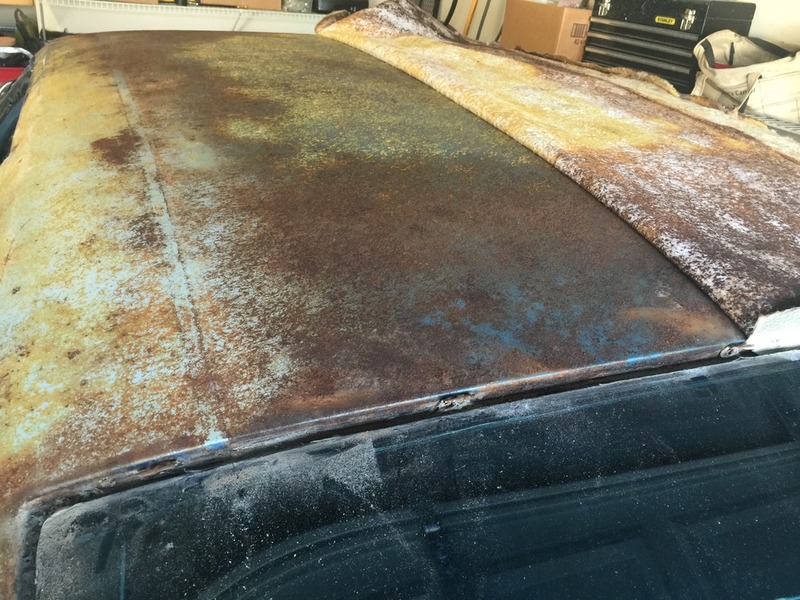 So looks like I'll need to have some holes filled, a couple small patches and then get all that gunk off the roof and smooth it out. Then to save up for the respray. Looking to get the wheels and exhaust done soon. I decided to go with the soft 8's and paint them. Not sure on the color yet. I found two places here in GA that widens wheels. I think I'll have them put 1.5in in them and I'll run the 315/35/17 out back and up front 285/40/17 on the standard 9 in wheels. I have the double hump crossmember so that will make exhaust easy. Still not sure on the rear spoiler yet and if I should take the hood ornament off. Hmmmm. I thought for sure it was the factory top I pulled off the car. 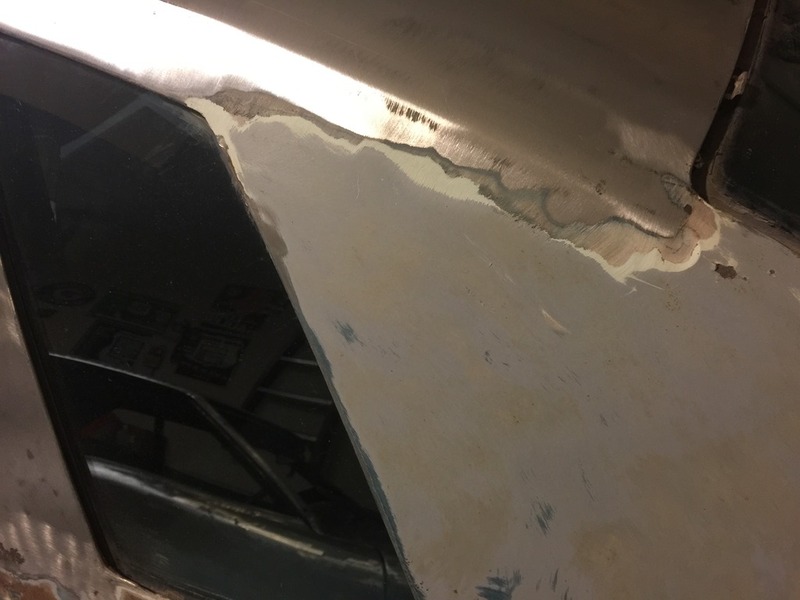 Started stripping the roof and found filler/fiberglass in the top of the sail panel and where the roof meets the sail panel towards the rear. I'm pretty sure their is supposed to be lead in there. I'm still considering myself lucky. Got half the roof done when I got home. Question. 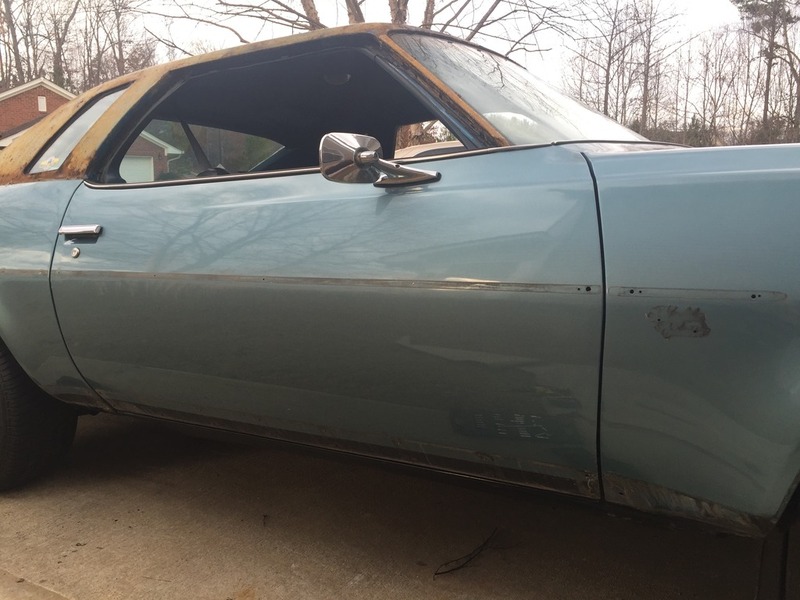 For non vinyl roof cars, what did they use in the A pillar? I had a metal piece that was on there that I removed. Check out the picture of what was underneath. And it was not a smooth transition from the roof to that piece. Would that have been leaded as well? I may need a new metal piece that runs down the A pillar cause I bent mine removing it. Here is what I'm talking about. It looks like their was some filler there as well. Oh well. 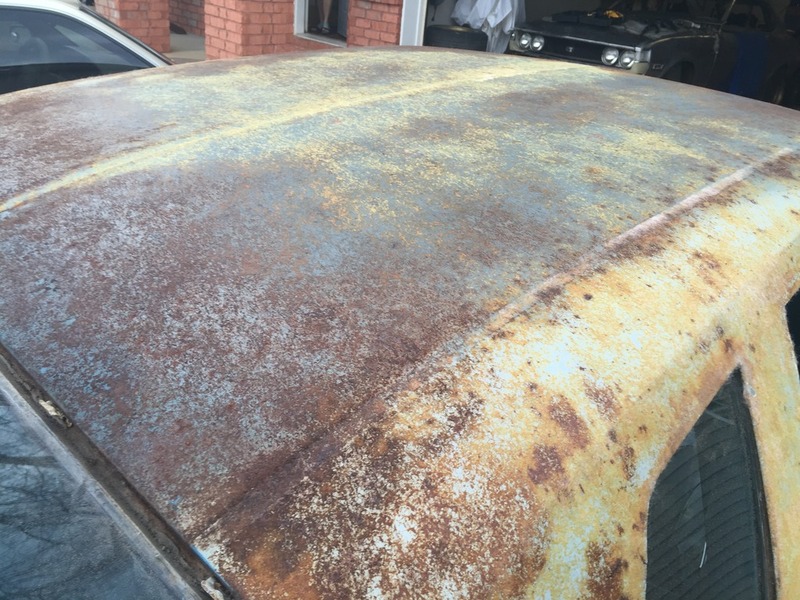 I'm going to put some of this rust encapsulator on the pits from rust and then have to smooth it over with all metal. I guess I can make the transition here with the same. 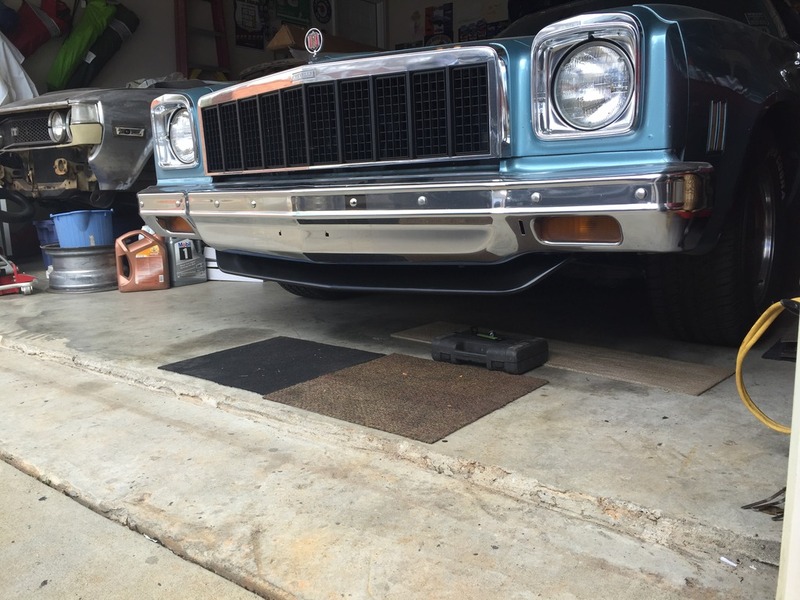 Got the front spoiler on today that I got from Randy. It is a very nice piece. Good clear instructions with the brackets and hardware. It had me scratching my head on why the center bracket would not line up. Duh!!!!!!!!!!!!!!!!!!!!!!!! 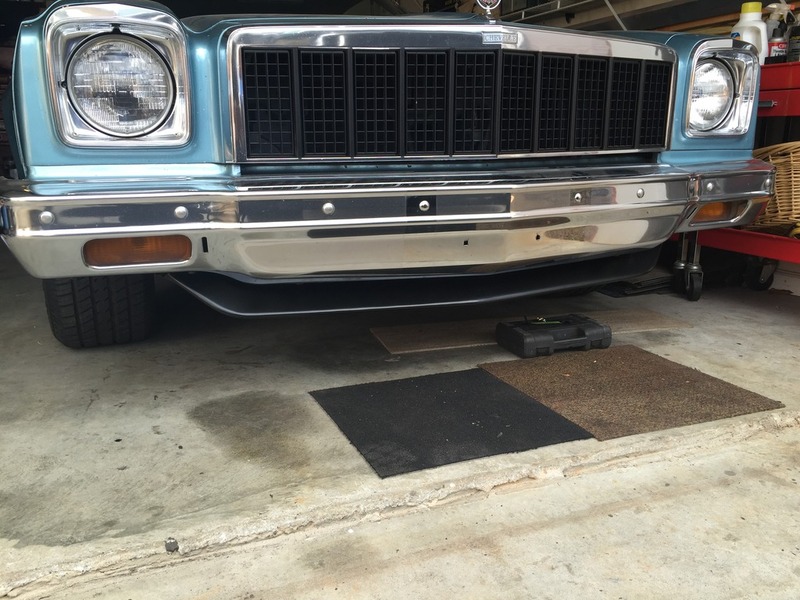 Tucking the front bumper throws off the alignment of the bracket LOL. I have better bits at the shop so I'll grab one of those and drill a new hole in the spoiler and bracket tomorrow. 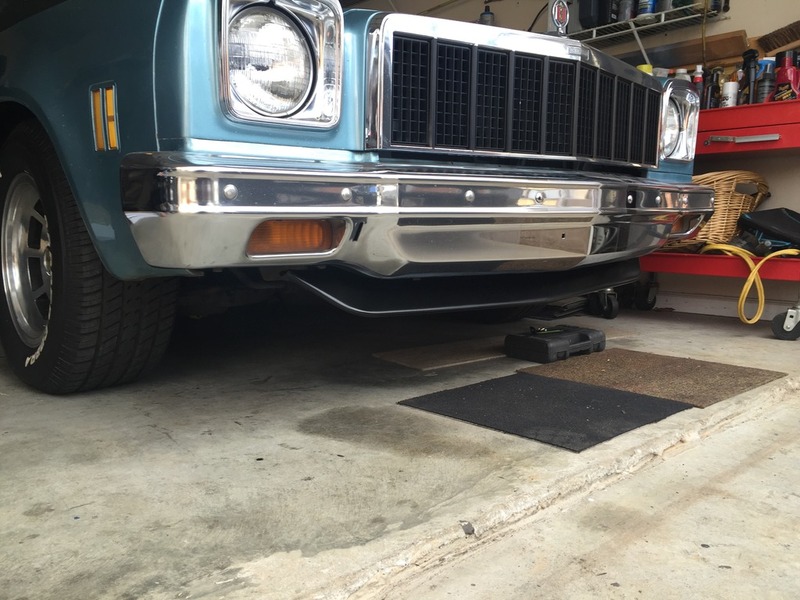 Went on quick, remove the two lower inner bumper support bolts and install the brackets, remove the lower radiator support bolt and install bracket. 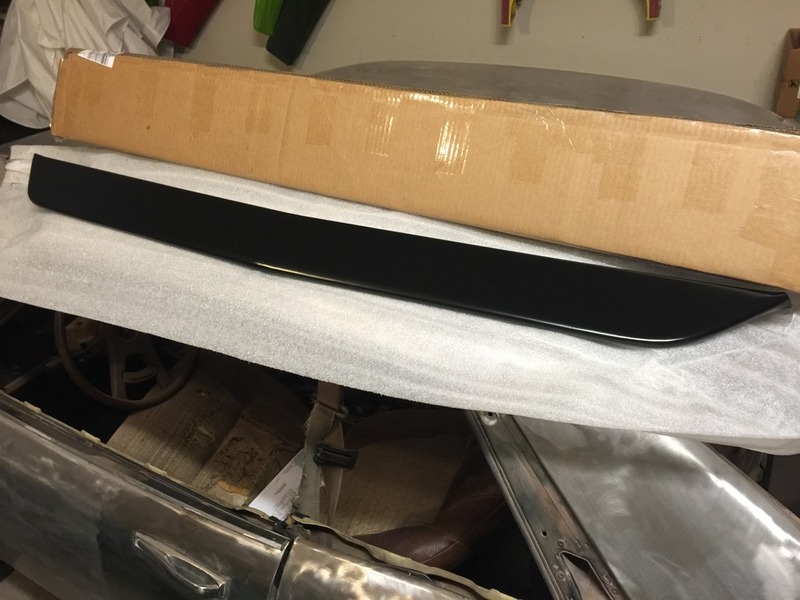 Hand tighten back and loosely install hardware to spoiler and line everything up and tighten. I can see having to touch this thing up though but that is the least of my concerns. I highly recommend this piece. » WWE ban Zach Ryder signs!